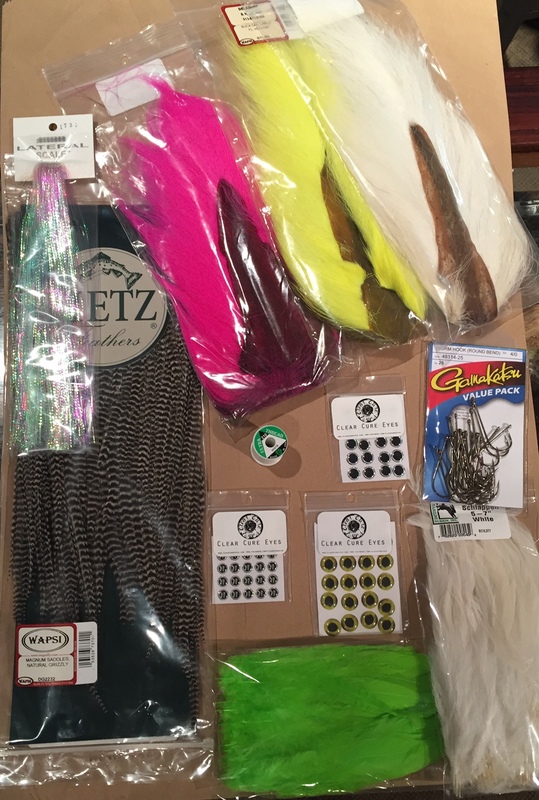 D&H is always getting new flies and materials to keep things interesting. 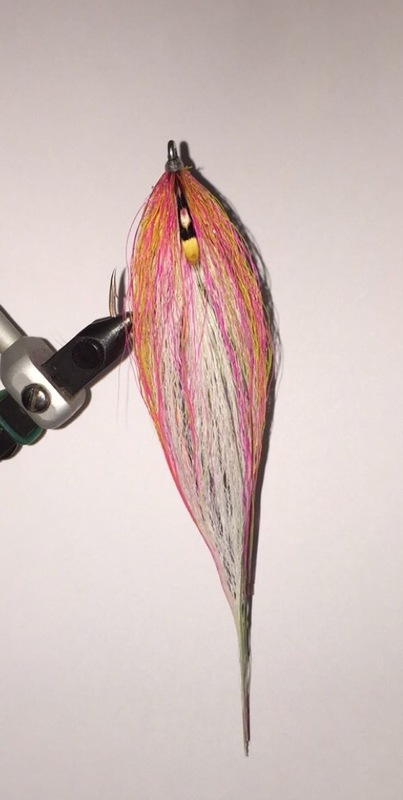 With the high water its a great time to start tying some new flies and trying out new materials. We just unpacked a couple shipments with a couple new things and some things we have been out of. – Click Move>>> below to see some more local fish and some of my go to flies and materials for local warm water species. A lot of warm water fish really key in on a few different things in flies. One of those things is the movement of flies, an articulated fly that kicks and swings is a big trigger for predatory fish. Another thing is the color of flies, many fish key in on colors like chartreuse, yellow and pinks. Having bait fish patterns with good profile, lots of movement and good colors is a game changer on the water. These magnum capes are something I have been trying to get in for years and they are great for big flies for small mouth, hybrids and musky. These capes have feathers ranging from 4-10 inches in length and are really full. These are great for flat wings, (like the fly in the hybrids mouth in the first picture) deceivers, musky flies and much more. We only have one left so call if your interested! Blane chocklett ties the game changer fly in many different sizes, here is one I tied for musky the other day. I was able to get out and fish it and the movement is crazy! There are 6 articulation points made out of fish-skull big game articulation shanks. Unfortunately I didn’t move any fish but that’s musky fishing.